Popular genres have always been an effective strategy in describing and disseminating arguments, conflicts and issues in any given society. 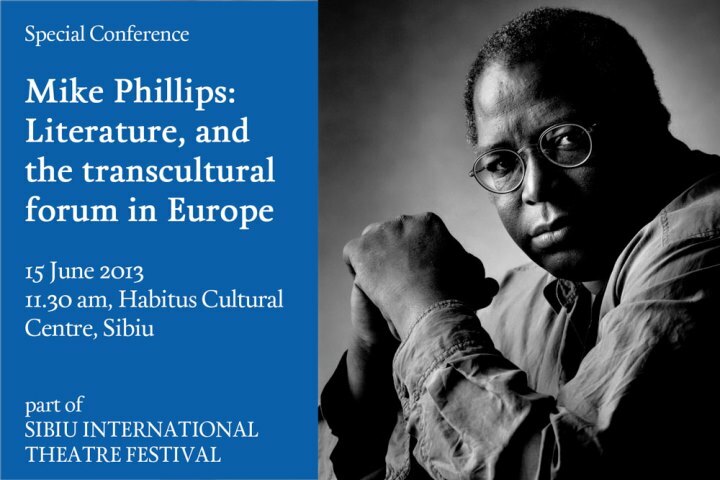 Crime fiction is associated with the exploration of the rise of industrialised infrastructures, and the genre described the perils and mysteries of the newly invented urban life. Similarly, the science fiction genre debated the effects of space exploration, nuclear energy and computer science, as they happened. In a sense, the literature of these periods and events became methods of communication, unlike anything which had gone before. 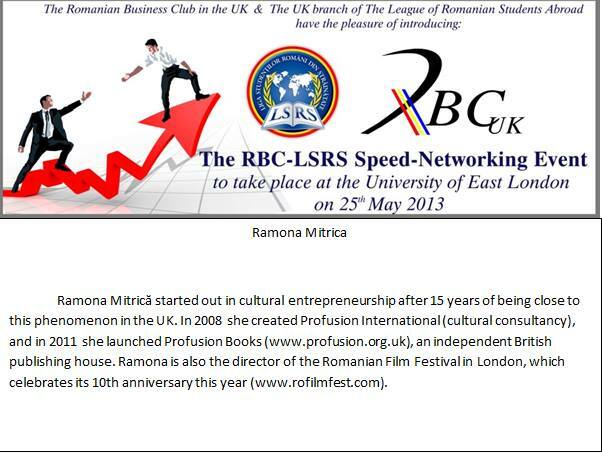 Ramona Mitrica, director of Profusion International, acts as a mentor in the Speed-Networking Event organised by the Romanian Business Club and the League of Romanian Students Abroad, on Saturday 25 May 2013. The event takes place at the University of East London, University Way, London E16 2RD. Registration necessary, see http://uk.lsrs.ro/2013/04/05/rbc-lsrs-speed-networking-event for details. Paște fericit! Happy (Orthodox) Easter to all our friends! In 2013, Orthodox Easter falls on Sunday 5 May - Easter generally doesn’t fall on the same day for Orthodox Christians and for Catholics and Protestants. More about the reason why – click here. Easter, or Paște, as it is called in Romanian, is arguably the most important holy day in the calendar. Proper religious observance demands 40 days of Lent, and some people go the full length of the Lent without touching meat or other products of animal origin. Most people fast only on Wednesdays and Fridays, some try to fast only during the week before Easter. Easter day arrives with an impressive feast, and tradition dictates some foods are absolutely mandatory. First of all – Easter eggs. These are hard-boiled eggs which are painted one or two days before Easter Sunday in vivid colours, or with striking traditional patterns. As a reminder of Christ’s blood, eggs are generally painted red, but other colours are also very common. The most spectacular ones are the so-called “written eggs” (ouă încondeiate), which are painted following a complicated ancient technique involving hot wax and natural dyes. Sadly, this folk art is known only to a few people nowadays, and hollowed-out “written eggs” are now kept as decorative objects. Another traditional food is lamb, which many Romanians eat only for Easter, but in a variety of dishes. For an entree, we have the coarse lamb pâté called drob, then there is borș de miel, a sour soup with white borscht and freshly chopped leaves of lovage (Levisticum officinale); then you might try roast lamb, lamb casserole, and lamb in garlic sauce. Pasca, a type of baked cheesecake made only for Easter, comes as the required traditional dessert, accompanied by cozonac, a brioche loaf with walnut or poppy seed filling, sultanas and pieces of Turkish delight. Normally, the Easter Feast starts when the family come home after the Resurrection Mass at midnight. The meal starts with knocking and breaking the painted eggs, shouting Cristos a înviat, adevărat a înviat! (Christ is risen, truly he is risen). Traditionally, the person breaking the most eggs would have kept them and eaten them all. Only after this the feast can really start. Some people prefer to go only for the eggs and abstain from the other dainties. The reason for this? On Easter Sunday, after the main mass, there will be another, bigger banquet. Start reading crime fiction from Eastern Europe NOW! Readers of the world, unite! You have nothing to lose but your boredom.